Looking back at the trends written across the entire Mass Effect series, it's clear that Bioware has been drifting away from a rigid faithfulness to RPG convention for a while now. The series has been getting steadily more like a straight-up third person shooter, phasing out the relevance of statistics and class-choices in favour of quicktime events and cover mechanics. So, the first thing to say about Mass Effect 3 is that it continues this slant and takes the boldest steps away from RPG-land yet. There is multiplayer. There are mecha vehicles that you can only use in certain places. There are turret sequences. 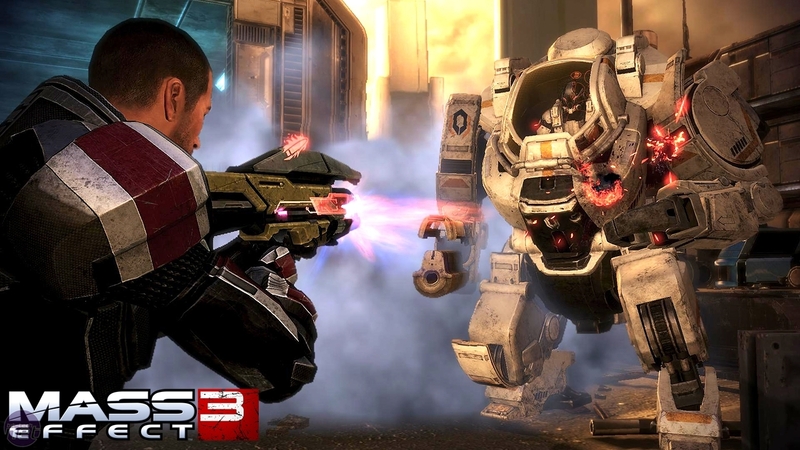 The second thing to say about Mass Effect 3 though is that these changes don't ruin the game, though they do wound it. The drama and sheer urgency captured by the story manages to overshadow these weaknesses - even the turret sequences. It starts with a bang. Shepard is on trial for his actions in Mass Effect 2 and the ensuing DLC, clearly frustrated that his warnings about the galaxy-purging Reapers are on their way. That frustration then turns to horror as the Reapers appear in force, devastating Earth in hours and proceeding to harvest it for every screed of organic life they can lay their hand-like ships on. Once again, Shepard becomes Humanity's Only Hope (TM). Gathering some old friends in tow, he boards his (again, re-fitted) ship and sets out to raise allies across the galaxy and build a weapon which can destroy the Reapers forever. While the scale of the story is undeniably epic however, it's the small, fleeting touches which better create the urgency which drives Mass Effect 3. Shepard's path crosses with old friends often, but only occasionally can anyone give him the support he needs - much-loved characters now drift in and out of the story as they adhere to their own priorities. It'd be too much of a spoiler to speak in specifics, but suffice to say that we did get a little teary when we found that some characters would be unable to join the Shepard's squad this time around. Forgotten rivalries cement the sense of panic as much as the fractured alliances too; the officious Udina now goes out of his way to help you, while even Mass Effect 2 slumlord Aria is willing to deal in order to ensure her survival. 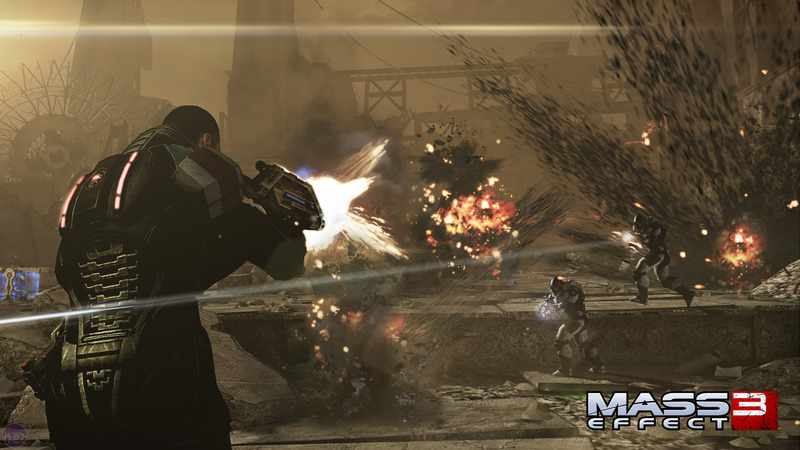 No matter where you go in Mass Effect 2, the characters are united in their desperation and fear. Well, except for Cerberus - but their opposition feels like it comes more from a need for a Surprising Baddy, than anything else. This is one of the few problems with Mass Effect 3, in fact; that your mission is so impossibly huge and bleak that the deus ex machinas and macguffins stand out a mile away. Liara is the galaxy's leading information broker and Prothean expert, but she only discovers an intact blueprint for a Reaper destroying weapon on the day of the invasion? For all Mass Effect's brilliance, that feels like lazy story telling. ReCore is beleaguered by a host of problems, but its charm just about shines through.